Front end and tail from Holden, but the passenger compartment are C7 pieces. Our exclusive mule sighting confirms that Chevrolet means mid-engine business. The nose clip is from Holden Commodore SSV (with even wider flares), while the cabin module, roof, and exterior mirrors are hand-me-downs from today’s Stingray. A Holden SSV ute’s sheetmetal wraps door to door around the heinie. The wing keeps the tail planted during high-speed runs and what could be more practical than the bumper-mounted 2x10 for shoving this test sled back to the garage when it breaks down? Other items of note: The fuel-filler located on the driver’s-side B-pillar and the cooling intakes located along the rocker panels. Was there ever a mule spotted? … And is this actually a mule or just a garage-freak. 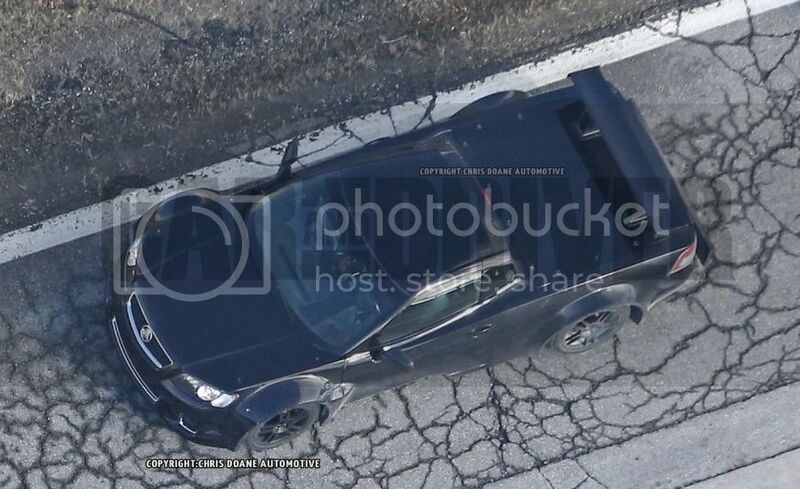 Strongly doubt this is the mid engine corvette mule. For one, there is no strong evidence showing the engine is infact, in the rear. Most importantly… Why are they testing the “c8” corvette when the c7 literally just came out. I could wallpaper my waiting room with magazine covers of the next midengined Vette over the past 30 years. How long do you think it takes to develop a car for production? If this concept is true, an Agrea R and a GTR eiffel towered a C7. Going to be the new super vette. Soon as they patented the Zora name you knew it was coming. Comparing it to ford gt. Is supposed to be mid engined and mid 150s. I’m not following your logic on this one. A pickup truck can have a tonneau cover right? The C6 Vette had a production run of 9 years, 9 long years.. I’d argue about half that would be useful to develop a completely new car. If I am wrong, I will gladly give you $5. I understand, but I just think its hard to say that there is no “strong” evidence. Strong being a variable term for discussion. It just seems interesting, to me at least, that the bed has a cover on it. 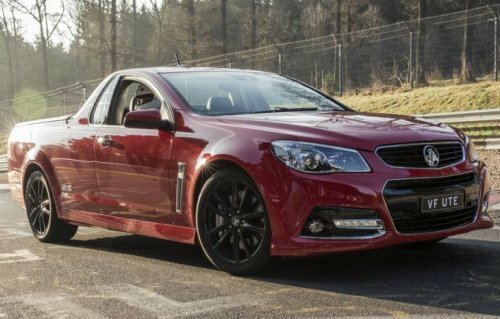 It is also interesting that they are using the Holden UTE for anything since they are planning to close the facility in 2017. It also appears to be a longer wheelbase than a standard UTE model. It is GM we are talking about, who knows how long they take to produce things when they mostly end up having recalls as soon as they meet “real world” applications. Maybe they learned since the C7 had a recall near immediately after their release and they do not want their flagship sports car to be anything less than the suggested price tag warrants. There’s no way there is an engine in the front of that franken-mule. Look at where the door hinges at. It’s practically right at the back of the front tire. 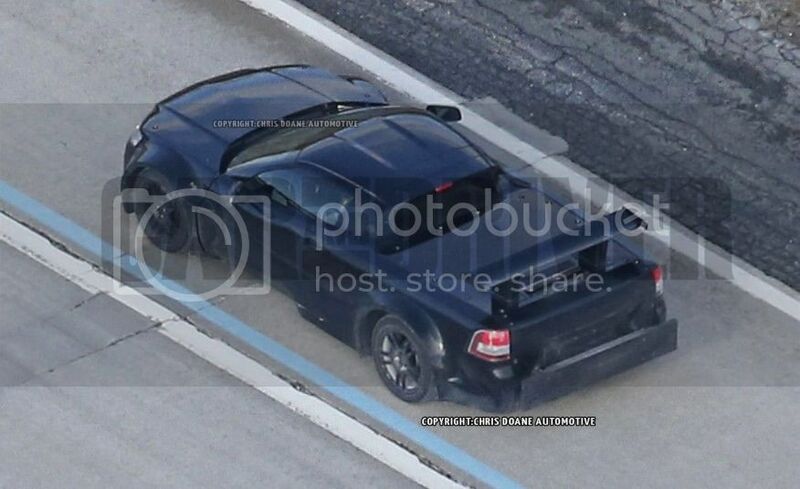 They should just produce this c7 mid engine prototype. That was tested back in 2012. From what I have read this will be sold along side of the C7 if it goes to production. I don’t have any inside knowledge, but I have been reading the rumor mills. Hoping this would bring the value of a used C7 Zo7 down. Are we sure this isn’t the new SSR concept? Why is it still called a Corvette if it’s a completely different car?